It’s that time of year again. People are getting into the Easter spirit by singing their favorite Easter-themed songs, picking out their ugly Easter egg sweaters, and trying to figure out who they will be getting assigned to for the annual “secret Easter egg basket” at work. Does this sound familiar to you? I’m guessing probably not, as this most likely sounds a little bit more like the busy preparation for Christmas Day. In truth, many people in our Western culture overlook Easter as just another day. They see it as a kind of preparation or welcoming of springtime. In one way, we should be happy about this, as the religious connotation to Easter has not been totally removed. While many people in secular society celebrate Christmas with a big dinner and party, it is mainly Christians that celebrate the day of our Lord Jesus’ Resurrection each year. 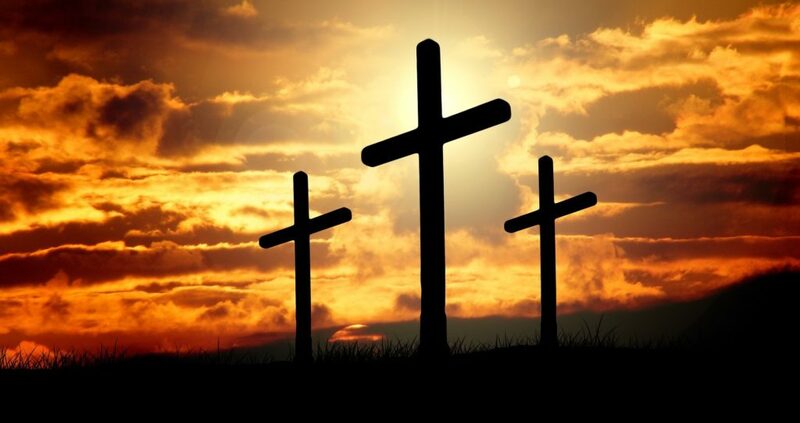 But since we live in the world, a corresponding commercialization of Easter has led many Christians, including Catholics, to see Easter as somewhat as a “lesser” holiday. It’s already on a weekend, it’s not a national holiday, and no one is singing Easter carols! So this begs the question: is Easter actually more important than Christmas? While both Easter and Christmas Day are solemnities, the highest rank of a feast on the Church’s calendar, the short answer is that Easter is indeed the most important day of the entire liturgical year. Our first indication of this comes from our weekly worship each Sunday. It would be entirely proper to say that each and every Sunday of the entire year is a “little Easter”. Whether or not that Sunday falls in Advent, Ordinary Time, or Lent, each Sunday celebrates the Resurrection, the day of new creation. This is why it is acceptable for us to relax our penances on Sundays during Lent. That’s also why we typically do not observe penitential practices on other Sundays throughout the year. This is because we rejoice on each Sunday. If each Sunday give us a little taste of the great feast of Easter, then it’s no wonder that we are able to … well, feast! This is particularly apparent in the Eastern Catholic Churches. There, the Holy Sacrifice of the Mass (or Divine Liturgy) is not celebrated on any other day of Lent except Sundays and major feasts like the Annunciation. Sunday is a day set apart specifically because it was the day that our Lord Jesus rose from the dead, conquering death’s sting once and for all (see 1 Corinthians 15:55-57). Naturally, many of the first Christians would rather focus on their rebirth in Christ instead of their birth into the natural world. Since baptism allows us to take part in the death and resurrection of Jesus, we too die to our old selves and are reborn as a new creation. This is why Origen speaks so harshly about the commemoration of birthdays. It is much more fitting to focus on one’s new life instead of their old. However, Jesus being sinless, his birth is somewhat different on this account from our own. This is why we eventually see Christians celebrating Christmas, and why we should celebrate this feast of his birth. But as Origen shows us, commemorating the birth of our Lord was far from their minds. We celebrate the Incarnation on the same day as the Annunciation. As Mary made her “Yes” to God’s will, she became pregnant with her very creator. Truly, at that moment, the Word had become flesh. A few months later. St. John the Baptist leapt in his own mother’s womb as he found himself in close proximity with the unborn Jesus. So as we can see, Jesus’ presence in the world was felt long before his actual birth into the world. “Feast of feasts” is certainly a very accurate way of describing Easter. Just look at the Easter Vigil, for example, with its copious amount of readings, as well as the welcoming of catechumens and other candidates into the Church. Everything in the Church’s calendar works toward the primacy of Easter. This is especially apparent following Easter Sunday. While we celebrate Twelve Days of Christmas every winter, the Easter Season gets a full forty days, not to mention the entire week after Easter Sunday is a proper solemnity in itself. Realistically, given the perennial importance of this feast, the Easter Season could really last even longer, and it does, in a way, with every Sunday recalling the Resurrection. And all this is because of the great chance that our Lord Jesus has given us; that we may become like him. Jesus suffered immensely during his passion and crucifixion. But because he underwent this freely, he knows exactly how we as humans suffer. Alternatively, since we have found ourselves baptized into new life, we now have a taste of that resurrection that Christ underwent, looking forward to the happy day when we share in this reality in its entirety upon our entry into heaven. Jesus has prepared the way for us, and it only makes sense that we recognize Easter Day as the greatest of all feasts. While you might be hard pressed to find people gathering around a table singing Easter hymns outside of Church, it’s clear that Easter is the largest festival that we as Christians celebrate. But we must never overlook the fact that we have that “little Easter” to celebrate each weekend. How do we bring the Easter message to others each week? Do we represent to others the hope that comes from knowing we will have a glorified body one day, just like our Lord’s? Do we have the hopeful expectation that we will reign by our Lord’s side in heaven? Jesus rose again so that we might become like him. As sons and daughters of God, we share in his likeness, and that even includes the way that he appeared following the Resurrection. This season, let’s be more aware of the great significance of Easter Sunday, and really, for the entire forty days of Easter. One day, God-willing, we will become like Christ, and this is only a possibility because of the triumphant Resurrection. By that same Resurrection, Christ set us free from sin, and this notion is something that we must keep at the forefront of our minds every day.